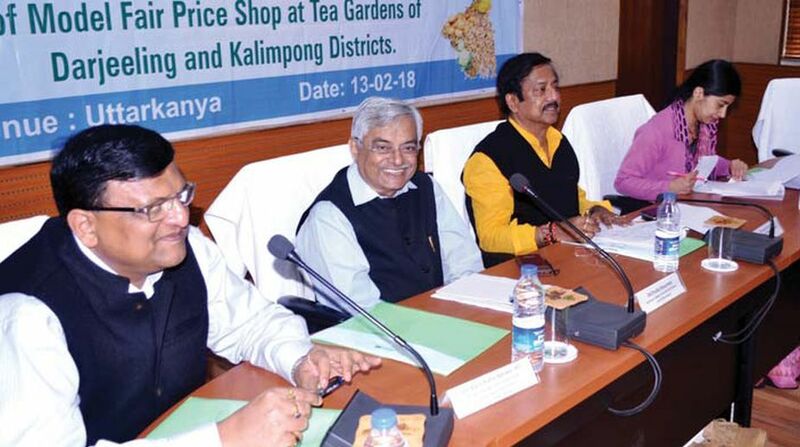 State food and supplies minister Jyotipriya Mallick has said he has decided to conduct surprise inspections every fortnight, especially in the Hills of Darjeeling and Kalimpong. The decision was taken in a meeting he held at Uttarkanya recently. Minister Mallick has also decided to hold meetings at Uttarkanya every month to review the situation in the Hills. The state food and supplies department has decided to store wheat meant for the Hills in the plains. After a thorough survey, administrative officials said they have come to a conclusion that distributors associated with the public distribution system deprive consumers from quality wheat and flour. Talking to this correspondent at Uttarkanya, Mr Mallick said: “We will not store wheat in the Hills. A group of traders in the Hills extract important ingredients (Suji and Moida) from flour and supply white flour only, which does not have food value.” “We need to stop such a practice immediately and supply fortified flour. A new system of distribution of fortified flour will start from April this year. After 15 days, a team of vigilance will pay surprise visits in the Hills. If anyone is found guilty, his/her dealership will be cancelled,” he added. Minister Mallick also pointed out that officials have detected fake ration cards in the Hills during the thorough survey they conducted there. “A total of 13 lakh ration cards were distributed in the Hills. Of them, 4.5 lakh distributed during the Left regime were identified to be fake. Officials estimated 8.75 lakh ration cards at present,” said Mr Mallick. “Around 12,000 digital ration cards have not yet been distributed among consumers, who are living in interior villages. Officials face problems in reaching out to those villagers,” the minister said.